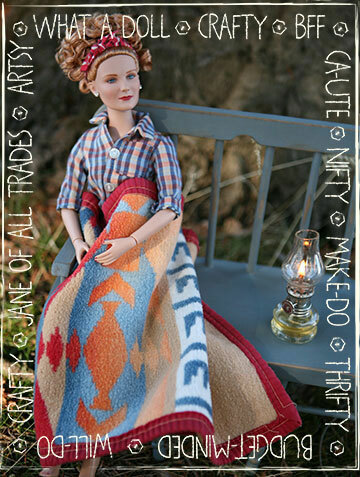 There’s even a farmer Barbie (check out our conversation about her here). With so many dolls to choose from, it almost makes you want to become a collector, doesn’t it? You can find more information on these dolls and the real-life women who inspired them over at Mattel. Oh—how I loved Barbie as a little girl! I got my first Barbie in 1966 for Christmas and I still have her. Later I was given Midge and Francie and the fun was on. My sister would make the most wonderful clothes for them. She also built doll houses for them and made furniture from card board. We even had a little dress shop—grocery store, etc. It was such fun to find things to go in them. She even made little paper groceries from pictures in magazines. My grandfather let us put all this in one of his buildings. I would pick produce for him and use my money to buy other Barbies. Today I would buy the Amelia Earhart Barbie because I read a book about her as a child and I have always admired her. Bravo Mattel! As soon as I heard the announcement I wanted to run right out and get one of each. Alas, I could not find a one them ~ only the glamour/model/socialite versions. Sigh. I got my first Barbie doll when they came out in 1959 from my Uncle for a Christmas present. That’s when I first learned how to sew. Making clothes for my Barbie doll. I even bought the Farmer one. 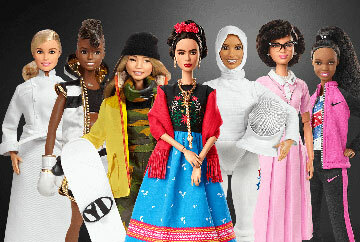 Such a great idea that Mattel did for Women’s month. Great inspiration for girls. We can be anything we want to be.